soil minerals and found that a type of clay is an especially good binding agent for the prions. type of soil where the animals live. Deer Poachers Getting Trigger Happy? zones, a record number of citations have been handed out. For the Environment Report, I’m Brian Bull. 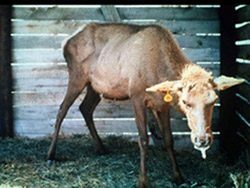 Chronic wasting disease or CWD, affects deer, elk and moose, and it’s always fatal. CWD has been found in animals in 14 states and two Canadian provinces. Up until now, exactly how the disease spreads between animals has been a mystery. Now a study in the journal Science shows evidence deer can spread CWD in their saliva and blood. Edward Hoover is the study’s lead author. Hoover says right now there’s no evidence people are susceptible to CWD, but he says scientists also can’t rule it out yet. but researchers say they might be getting closer to a test that can be given to live animals. 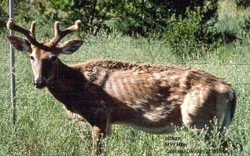 Chronic Wasting Disease, or CWD, causes deer and elk to waste away and die. Alan Young is a Veterinary Science professor at South Dakota State University. He’s developing the new test. infected before the animals die. He says the research could also lead to a cure for CWD. Could Humans Get Chronic Wasting Disease? begin to waste away, become weak, and then die. about CWD – including how to stop it. Recent findings say there is. blamed for CWD have been found in deer meat. The finding raises questions about whether eating venison is safe. Researchers including Aiken say the study is important, but has limits. For example, he says it doesn’t replicate what would happen in real life. from an area where CWD has been found. disease can look and act normal. 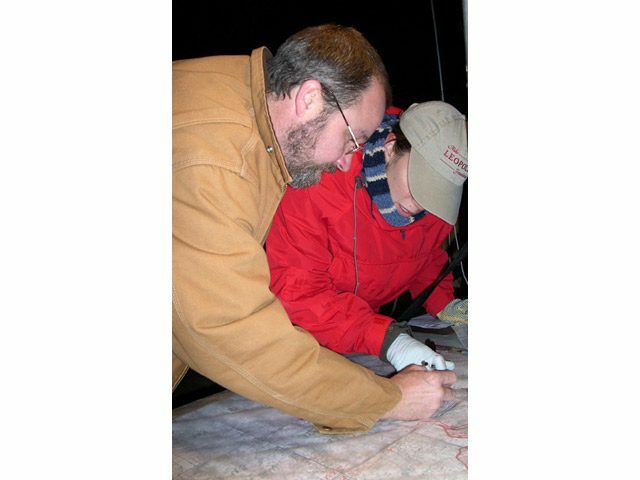 concerned about Chronic Wasting Disease. prions could be in the meat. Some argue… it should change. lose revenue from hunting licenses. the disease. Stauber also says CWD is a major human health concern. before the owner saw it and notified the Department of Natural Resources. to limit the chance the disease would spread to wild deer. Crossley says it’s now even more important to monitor deer near the preserve in the years ahead. He says it will take time to determine how their overall efforts to combat the disease are working. are important, but they may not help in the long term. saws the head off so brain tissue and lymph nodes can be tested for chronic wasting disease. managers are just worried about the health of the deer herds. found the disease in wild deer in early 2002. Illinois found the disease later the same year. officials. Tami Ryan is a wildlife supervisor with the Wisconsin Department of Natural Resources. land all fall and all winter – September to March. regularly in one of the areas where the state’s trying to reduce the herd. “From just being out and observing the deer, there’s a huge number of deer out in the woods. privately owned. The state’s encouraging landowners to open up their land to more hunters. disease, but he says he’s afraid the state’s going too far. Albert says more of the effort should be focused on understanding the disease before acting. exactly how the disease is transmitted. much of the deer herd is controversial, but the state’s options are limited. as possible, before it spreads to deer herds in neighboring states. skittishly at those who recognize her in the park where she still goes to feed the deer. the Deer Lady scatters corn near her feet. Depczynski faces up to forty-five days in jail if found guilty of breaking the state’s feeding ban. suddenly stops to explain. Depczynski says the deer living in this park would starve without her. most have been intimidated to stop, or else deny they still do because of the new feeding ban. 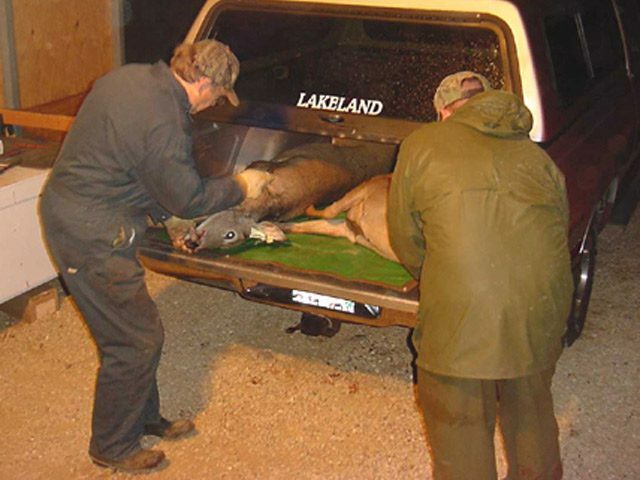 understand what Chronic Wasting Disease and the feeding ban are all about. urine. Wildlife expert Joel Thomas says he knows Depczynski and others think they’re helping. Wasting Disease and devastate the North America’s deer population. highways. And she says when they have to go looking for food, the results are heart wrenching. We saw that, first hand, a little while later on the trail. below the hip, presumably by a car. The DEC came later that day, and put her down. Thomas says it’s nature taking it’s course. reacting to a disease that is still many states away. obvious, it’s already too late.